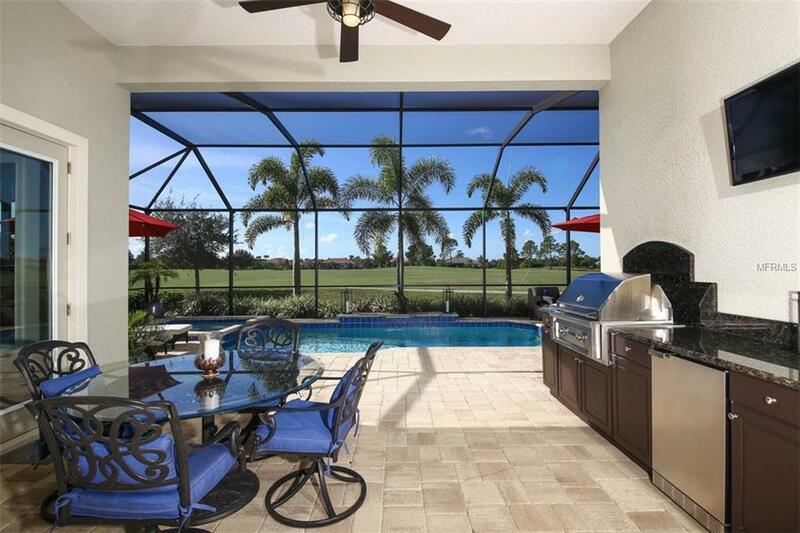 Experience this amazing home with views of the private golf course at Royal Lakes in Gated Lakewood Ranch Country Club East a maintenance free community. 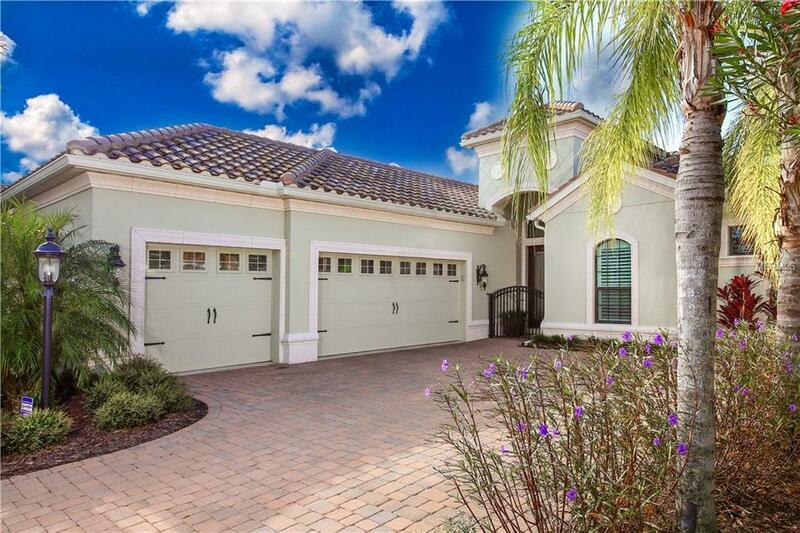 This 3 Bedroom, 3 Bath, 3 Car Garage home displays an easy flow to this open floor plan. When you enter this home, you are greeted with a spacious feeling w/12 ceilings, crown molding and plenty of light. The notable features include, 42 solid wood kitchen cabinets, granite counter tops, under cabinet lighting, Monogram Stainless Appliances, wall oven, gas cooktop, glass tiled backsplash, 18 tile on the diagonal, custom window shades, plantations shutters throughout, & recessed lighting which are just a few of the upgrades this home has to offer. The great room overlooks the beautiful golf course, screened in lanai, outdoor kitchen, heated salt water pool and spa. Entertain your guest in the beautiful dining room, custom wall sconces lighting, built-in dry bar with granite & solid wood cabinetry. Impressive master suite offers two walk in closets, large tiled glass shower, dual sinks with granite counter tops. 2 additional bedrooms, an En-Suite, walk in shower, & granite countertop & one with walk in closet. Office/Den is light and bright w/double pocket doors for privacy. Country Club East has 3 community pools and "The Retreat is a new expansive resident-only amenity center featuring a resort-style/lap pool with water feature, fitness facility, social gathering space and outdoor kitchen. This is included in the yearly HOA for CCE residents only!